Shout out and a big thank you to the owners and staff of Sumit’s yoga for providing a wonderful studio and atmosphere! Sumit’s has been an amazing place for my yoga practice. My introduction to yoga began 6 years ago at Bikram Yoga in Louisville, Kentucky. The studio was very close to the horse barn where I trained my horses. Part of my job as a professional horse trainer included showing horses at county fairs and regional shows across the Southeastern United States. The major benefit of hot yoga for me was to reduce tension and stress of riding and showing young inexperienced horses and being better equipped to handle the heat of the attire and the summer weather. Unforeseen family circumstances brought me back to Columbia. Once settled, I started looking for my yoga fix and found Sumit’s. After a fairly regular Bikram practice I was suddenly confronted with a Down dog, chaturanga and a four part flow set to music. 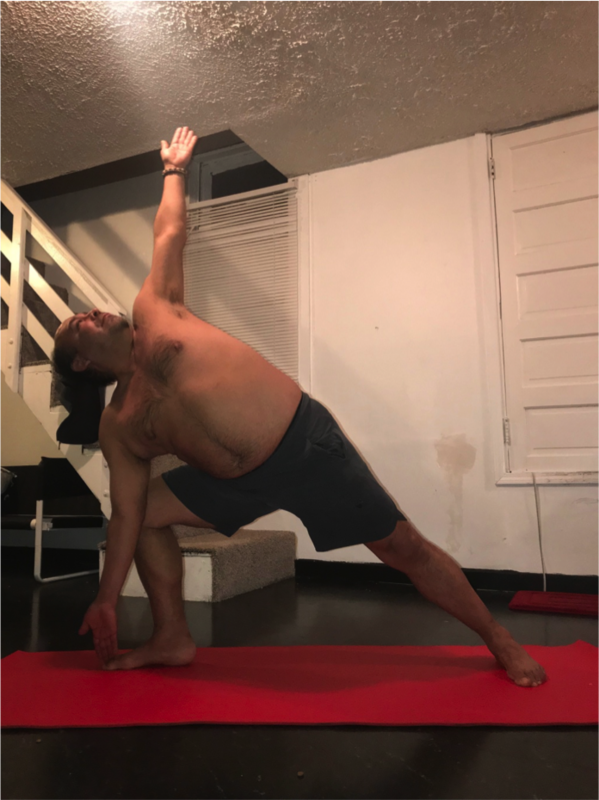 I was a little overwhelmed and sought out other Columbia yoga studios to fill in some gaps in my yoga education but always with the intention of returning to Sumit’s. As fate would have it, my mother fell and broke her hip a little over a year ago. After her hospital stay she did her rehab at a facility very near to Sumit’s. I now had no reason not to make Sumit’s part of my routine. Once I committed myself to the Sumits series, the easier it became to deal with some of the negative aspects of having to visit my mother in a nursing home. Because of my chosen profession, I have broken many bones and have put a lot of miles on my knees and ankles. I find the Sumits series very beneficial physically, but feel the real reward is in the mental clarity and calmness that spills over into every area of my life. Many days I’ve felt too busy, too tired, too late, too sorry, too sore, too sick to attend a class. After going through all the reasons I can’t go, I then remember the reasons I started going and how good I feel afterwards. With this reminder, it is easier and easier to go. Sumit’s has become as natural as breathing. Yoga is breathing. Breathing is life.